Mad Hatter meets the Colony Club! I had such a great time at the Art Production Fund's 5th annual gala at the Colony Club last night! From overflowing coupes of champagne to discussing dress train problems with Emmy Rossum, it was definitely a great night! 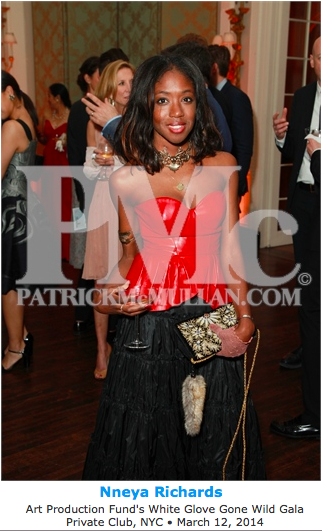 I wore a leather Ralph Lauren Purple Label peplum bustier and my go-to Oscar de la Renta ball skirt. Check out my event report for Scene mag!